This was a 5 minute exposure taken about an hour before sunrise. 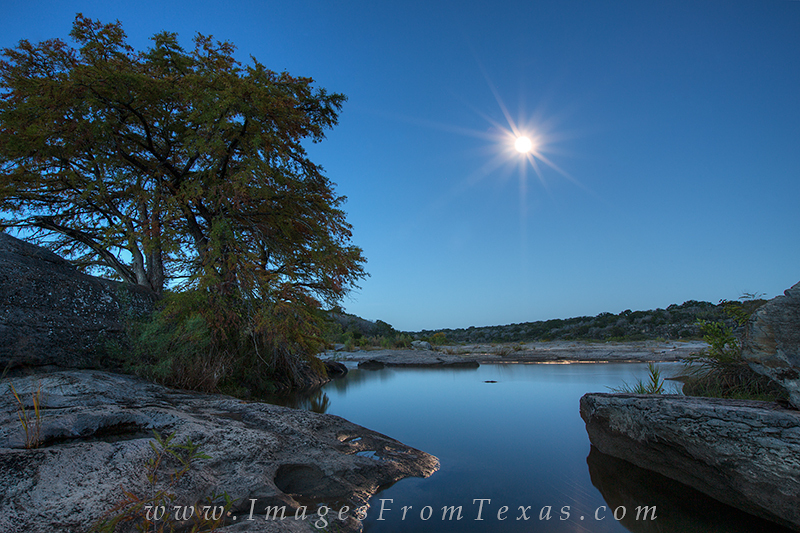 The long exposure allowed the full moon's light to shine across the Pedernales River Basin and brighten the landscape. Photo © copyright by Rob Greebon.